Sat with Theatre people, members of the press and the cast of M Butterfly. This time they are hosting a luncheon for the author of M Butterfly, playwright David Henry Hwang. Yes he is in the country and he saw the Manila staging of M Butterfly. 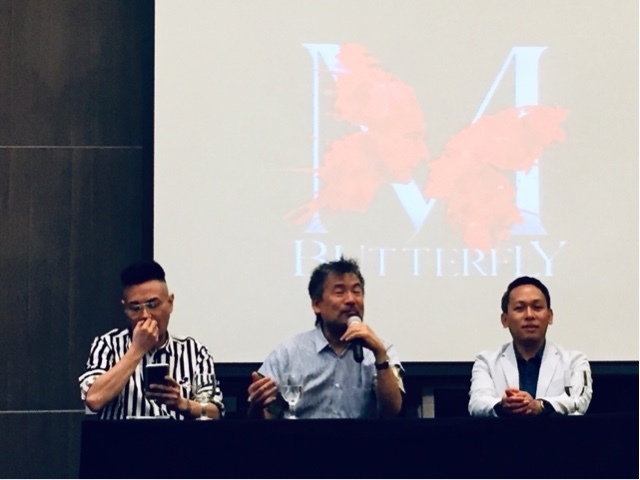 There will be only a few days left for M Butterfly at the Maybank Performing Arts Theater. They say they’ll bring more shows now that they have good partners like Frontrow Entertainment. Good or bad reviews, this needs to be watched by more people. I love that they will take this around the Philippines. Go get tickets for the last few nights. They only are going to do this til the 30th.